With the final version of Google’s mobile operating system Android 5.0 Lollipop just around the corner, we can expect to see Google updating their core apps as well. One of the apps hinted at being updated is Gmail. A few of the core Google apps, such as Google Play Store, Play Newsstand, and Hangouts, have already received Google’s Material Design makeover to varying degrees. Others, like Gmail, Calendar, Drive, Play Music, and Play Books, are still awaiting a refresh to the new look and functionality that Android Lollipop will bring. 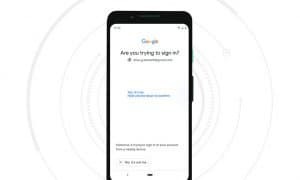 A leaked video has appeared which shows some of the features we might be able to expect in an updated Gmail Android client. In addition to the Material Design update, the video gave us a peak at being able to access email from Outlook.com and Yahoo email accounts. As well, the video mentions “and more…” but it is unclear as to what other support this could mean. If the app also supports Exchange ActiveSync accounts, this could be the end of having to utilize multiple email clients on your Android devices. Take a look below at some of the new functionality that can be expected in the updated Gmail app for Android. There’s no word or indication at this time if multiple account support will follow over to other operating system versions of the Gmail client. What do you think about other e-mail accounts being accessible through the Gmail app? Let us know below in the comments, or on Facebook, Google+, or Twitter! Apple Considering $5 Monthly Beats Subscription?